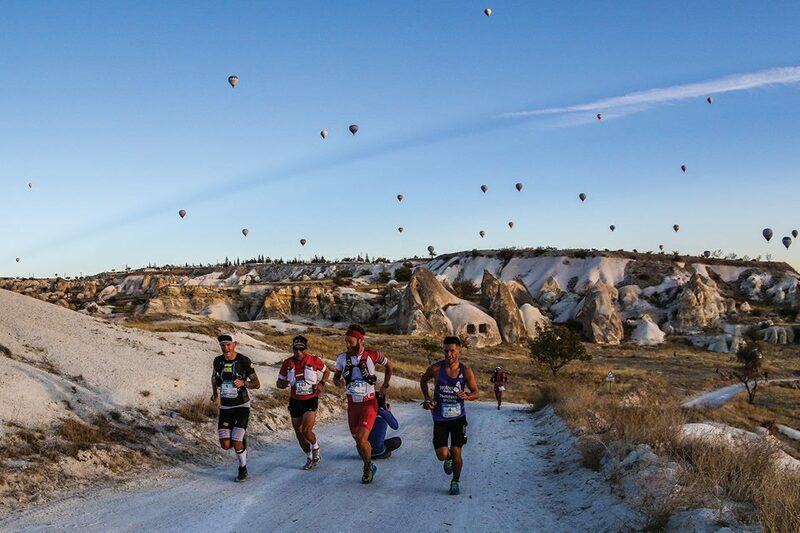 There is a reason Cappadocia is famous for its hot air balloons. Every morning just after dawn the sky is filled with balloons of all colours floating dreamily across the valleys. The feeling of being up in the air is incredible; and every journey is guaranteed to be unique and magical. Each individual balloon flight relies on an unrepeatable pattern of wind conditions and is therefore an experience to cherish forever. We welcome our visitors in style by picking them up directly from their accommodations in service mini-vans and bringing them to the main office of the company they are flying with. Visitors are then checked off the guest list and given a balloon pass/safety information card, before being registered for the flight. After registration, visitors are welcome to enjoy a full buffet breakfast, with fruit, cereal, crackers, cakes and a wide selection of drinks on offer. Later, visitors are invited back into the mini-vans for transportation to the balloon launch site, which is usually a short 10-minute drive away. Visitors arrive at the launch site in time to see the balloon itself being inflated with large industrial-sized fans. The sky is dark at this point, providing the first photographic opportunity: the chance to capture the balloons spread out in the valley, sporadically illuminating with the light of powerful orange flames as they steadily inflate. The standard balloon basket is divided into four sections, with five visitors per section. This is the optimal layout that ensures the weight the basket will carry is evenly spread out and balanced. Flight crewmembers are on hand at all times to answer questions and to assist visitors into the basket once the balloon is fully prepped for its voyage. And then at last the balloon takes flight and the dream begins! 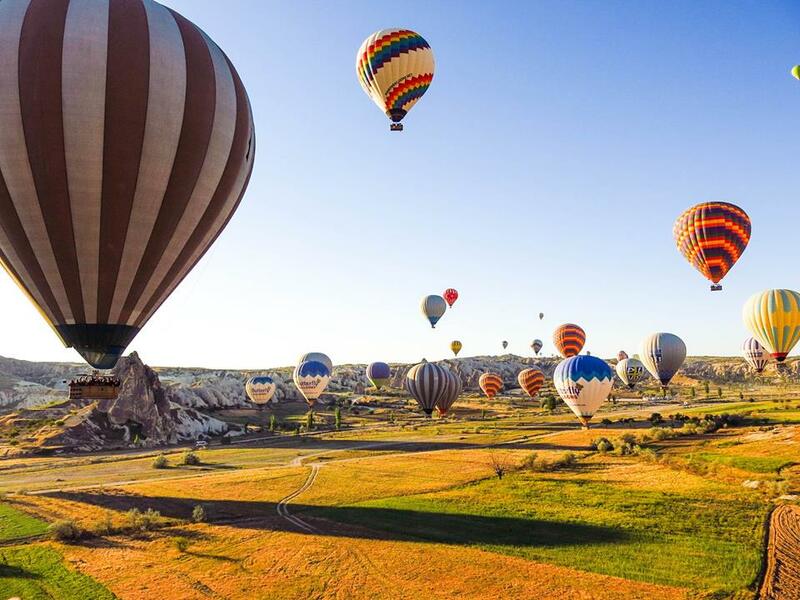 Take-off in a hot air balloon of Cappadocia is so smooth, visitors will not feel the moment that the balloon leaves the ground and enters the air. The ascent is steady and dreamlike; and the wind determines the direction of travel. 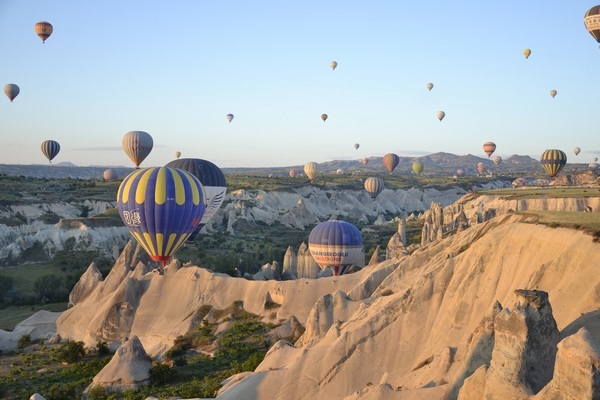 Fellow balloons fill the sky above, below and around, creating the sea of hot air balloons suspended over the volcanic valleys of Anatolia that is now famous all around the world, from China to Argentina. Flight durations can vary, but most last approximately one hour. Over the course of the flight, the sun climbs higher and higher, slowly filling the landscape with an indescribable warm glow that has to be seen to be believed. 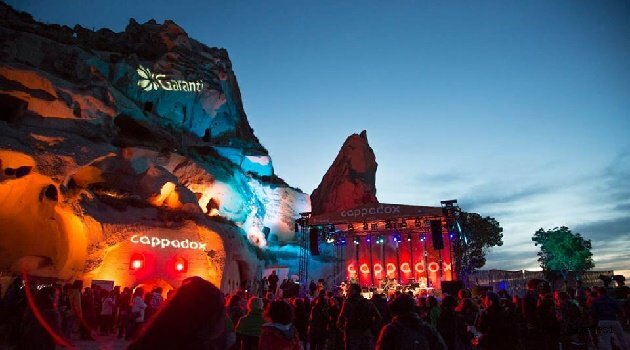 Balloon captains in Cappadocia are among the most experienced ballooning practitioners in the world. We ask our visitors to watch out for the way that captains are frequently able to land the balloon basket directly on the truck trailer bed. Landings are one of the most exciting moments and handles are fixed inside the basket for visitors to steady themselves- though they are more of a precaution than a necessity! After disembarking, visitors are again met by crewmembers who pour out champagne and give out certificates memorialising the flight. From ground transportation, breakfast, safety instructions, champagne and certificates, not to mention the experience of a lifetime in the skies of Cappadocia, a balloon flight with us is worth every Euro! The Standard Flight will be airborne at least one hour and has a larger balloon capacity (maximum 20 people). The Deluxe Flight will be airborne at least 1.5 hours and has a smaller balloon capacity than the Standard Flight (maximum 12 people).